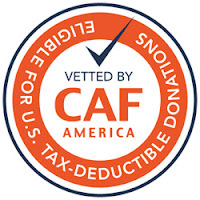 PNLIT is able to accept 100% tax-deductible donations from US donors in partnership with CAF America. *Please note that CAF America requires a minimum $500 donation on Single Donor Advised Gifts (i.e. when you are not donating to an established Fund). The donor Gift Form can be downloaded here. Donations through CAF America can be done in several ways. 5. Wait for the confirmation page – do not re-click submit or refresh the page as you may be additionally charged. 6. An e-mail confirmation will be sent to you for tax deduction purposes. 1. CAF America requires that all wire transfer donations be accompanied by a Gift Form that may be e-mailed or sent by post. 2. Use the banking information below. Please note that the grant suggestion will not be processed until the signed gift form is received.